I hope everyone had a lovely Holiday weekend spent with loved ones. We had a wonderful time and were were fortunate to squeeze in time with both sides of the family. We are finding that this is increasingly important as our parents age. And really, there is nothing like spending time with family. Today, I wanted to remind you that this is the last week for the Year-End Closeout Sale. And if there’s anything from the Holiday Mini Catalog, that you didn’t purchase yet, this is your last chance before the Catalog ends on January 3rd. You can see the Holiday Carry-Over List below. If the item is not on the Carry-Over List, that does mean it is being discontinued. If you need help with any selecting products, I’m here for you. Here are December’s Specials. These items are available only while supplies last. Please note the sale prices are only through January 3rd. Retiring Stamps are guaranteed available only until 12/21 and retiring Accessories are only available while supplies last. So this is the last month for the Holiday Catalog. 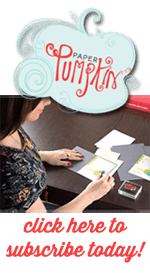 This year, Stampin Up has given us a list of products from the Holiday Catalog that will remain on sale after the Holiday Catalog ends on January 3rd. See below for the Holiday Carryover List.